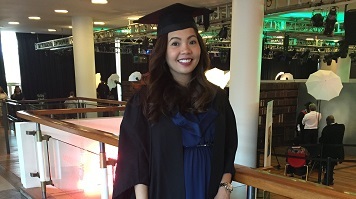 As well as the help and support she received as part of her degree, Jannel enjoyed the opportunities to develop her practical and professional capabilities during her studies. In particular, she recalls our summer internship programme as a highlight of her time at LSBU. At the moment, Jannel is busy with an even more important job than accountancy – looking after her three-month old baby. However, she aims to continue her career in June, when she intends to be back on the job market.